We all are all the time anxious to know what is in our future and how can we change our ill fate? Stone is not the main factor. Nothing is set in stone. We can change our future, but here’s what we need to know about that: It’s fact that nothing is set in stone, so how can a psychic tell what’s going to take place in our coming days? What’s happening is when a psychic activates into your energy, he or she is reading their current energy as it is right now, and also looking down the way to see what’s going to happen to us if we stay on that path. So, when we get a prediction, they are telling you what they see as the ultimation of the path we are currently on. If we don’t like the outcome that he or she is seeing, then we have the lucky chance to change course and do whatever – make changes so that we do not close up with that outcome. The changes we make may or may not work, but we have the chance to change our course. Nothing is set in stone. But the thing is that a stone influences our fates. When I was in 10th grade some years ago, a psychic told me that I was going to go camping for my first time, but it was going to be a really rough to me. It was very thrilling, but I had no really planning to go camping anyway, so I took it very casually and just kept in the back of my mind. A friend calls me up few months later and says that he and another guy were planning to go camping with a third guy who dropped out at the last minute, and they wanted to know if I wanted to go with them. Then I realized that this is called destiny. I wanted to go and I go. But suddenly I recalled the prediction that the psychic had made for me, and she said it would be a really rough and tough experience and so I made a very conscious decision not to go on the camping trip. But two guys came, the two guys who went ended up going hiking, they got very, very lost. One of them had a hypoglycemic attack, and the other had to go try to find help and it was a very hard, long experience and they definitely, definitely had a rough time of it. So, I felt like I was able to change that outcome, but I didn’t feel the psychic was wrong because she did accurately predict what would happen, I just chose not to step into that reality because it did not give any type of pleasure. There is another reason that going to a psychic can be very much fruitful, because if you can find out what’s coming up on the way that you’re on, if you don’t like it, you can prevent it. Always be sure to ask the psychic about other paths that she or he sees as chances for you. So, do not just take what the psychic told as fact or as fate. You can make changes the outcome, but you need to know what the outcome’s going to be. Going to a good phychic it is very beneficial, because they find out what is going to happen and protect us from bad things . and finding out some details to make sure we can make it happen if it’s good. So we don’t have to struggle much. In this way we can change our fate and make us healthy and wealthy. So, very good question. 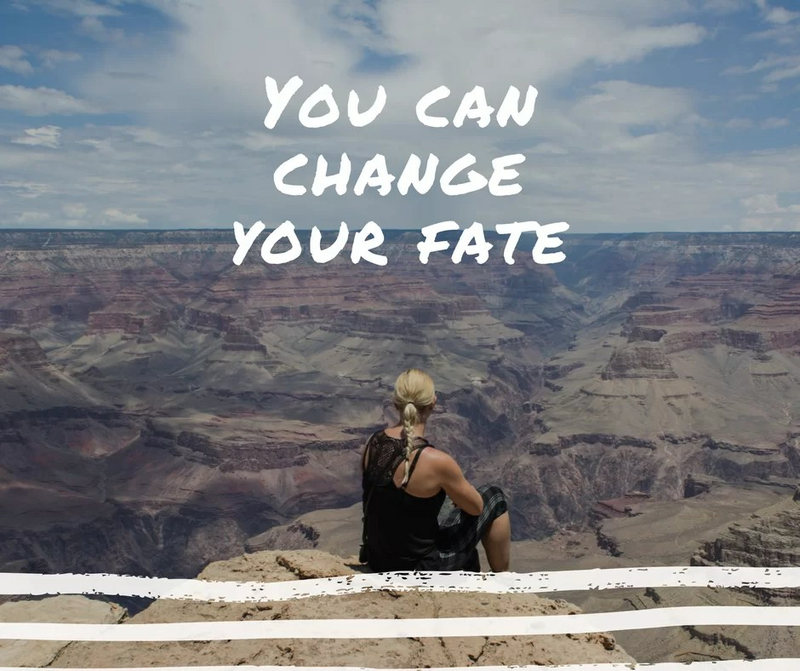 You can definitely change your fate.